I wasn’t going to do “cruel” for Inktober – too much cruelty in the world as it is. Then, I saw these mushrooms! Fly agaric mushrooms are beautiful, poisonous, and the fantasy mushroom of dreams. I’ve seen them a few times, and they are incredibly beautiful. In their beauty lies their cruelty! This is a combination of the type of drawing and painting I have been doing of late. 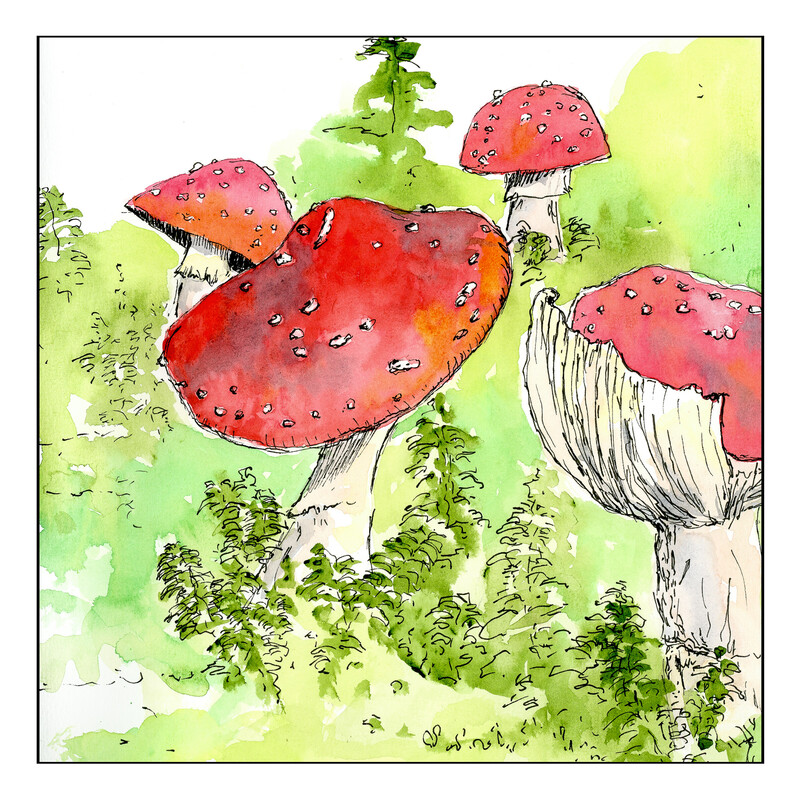 Because these mushrooms are so vibrant, it doesn’t do them justice to just use ink. So, inking pens after an underlying pencil sketch, and then slow, light layers of watercolor, and then more pen. I’m rather pleased with the results altogether.